We’re celebrating the brightest and best product offerings in our 2017 BC awards. 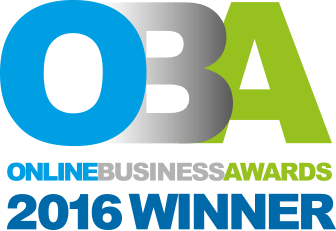 This award recognises the company that starts businesses off on the ladder to success with a great banking deal. Celebrating the cream of the crop when it comes to business current accounts. Recognising the provider offering a stand out product that makes it easier for businesses to save. Recognising the card provider that strives to put the needs of limited companies and sole traders first. Awarded to the company that impresses our judges when it comes to supporting SMEs with the finance they need. This award recognises the product provider offering a competitive and comprehensive deal on the commercial mortgage stage. Celebrating the lender wowing SMEs with their deals on bridging finance. This award recognises the lender that demonstrates an impressive service to help SMEs grow towards their potential. Recognising the company striving to help SMEs improve their cash flow through invoice lending. Awarded to the lender that most impresses our judges within the asset financing arena. This award celebrates the company that shines when it comes to helping businesses save money on their energy. * The BC Awards recognise those businesses which our judging panel consider have excelled during 2017. The judging panel comprise of industry experts and will consider many different factors, including innovation, customer service and pricing/ value for money, to enable them to identify the winners in each category. By providing a BC Award we are not advising on the quality of finance providers. Awards do not constitute advice from Businesscomparison.com, and should not be relied upon when selecting goods and services. Businesscomparison.com simply acts on the opinion of those who it has asked to judge the awards.